At that time Jesus was led by the spirit into the desert to be tempted by the devil. He fasted for forty days and forty nights, and afterwards he was hungry. The tempter approached and said to him, "If you are the Son of God, command that these stones become loaves of bread." He said in reply, "It is written: One does not live on bread alone, but on every word that comes forth from the mouth of God." Then the devil took him to the holy city, and made him stand on the parapet of the temple, and said to him, "If you are the Son of God, throw yourself down. For it is written: He will command his angels concerning you and will their hands they will support you, lest you dash your foot against a stone." Jesus answered him, "Again it is written, You shall not put the Lord, your God to the test." Then the devil took him up to a very high mountain, and showed him all the kingdoms of the world in their magnificence, and said to him, "All these I shall give to you, if you will prostrate yourself and worship me." At this, Jesus said to him, "Get away, Satan! It is written: The Lord, your God shall you worship and him alone shall you serve,." Then the devil left him and, behold, angels came and ministered to him. Approaching a superior for favors is a delicate matter. Parents rightly instruct their children not to "tell" them what to do. Children, as a matter of respect for authority, have an obligation to ask and inform, rather than to presume permission. Children who never learn this simple lesson grow into adulthood with a contrary and manipulative rule of life: "It is better to beg for forgiveness than ask for permission." Permission is often the way of the world, but it is an ineffective and dangerous approach to God. In this week's Gospel we witness the temptations of Christ. The temptations reveal that Christ in His humanity knows how we are tempted, and they expose pride as the rotten foundation of all sin. Before the devil discloses the ultimate object of his temptations - his desire to be worshiped in place of God - he presumes to be the Lord's spiritual director. The devil demands that Christ render an accounting of Himself if He is the Son of God. First, the devil would have Christ prove His divine sonship by a magic act: "If you are the Son of God, command these stones to become loaves of bread." Christ counters, "Man shall not live by bread alone, but by every word that proceeds from the mouth of God." "Second, the devil would have Christ prove His divine sonship with a circus act. Quoting Scripture for his purposes, the devil says, "If you are the Son of God, throw yourself down; for it is written, 'He will give his angels charge of you... .'" In response, Christ quotes Scripture with His divine authority, "You shall not tempt the Lord your God." The devil finally goes for broke. His agenda, after all, is not ally about proving divine sonship in the dabbling of bread and circuses; it is about the devil himself. The presumption that comes with tempting the Lord is unmasked for what it is: the gluttony of diabolical self-absorption. Displaying the kingdoms of the world, he concludes, "All these I will give you, if you will fall down and worship me." The response of Christ is brief and powerful and effective - and provides us with a model for facing all temptation: "Begone, Satan!" Christ does not need to present Himself to us for judgment, nor does He need our guidance. Later in the Gospel, just after Christ identifies Peter as the rock on which He will build His Church, the Lord reveals that He Himself "Must go to Jerusalem and suffer many things from the elders and chief priests and scribes, and be killed, and on the third day be raised." 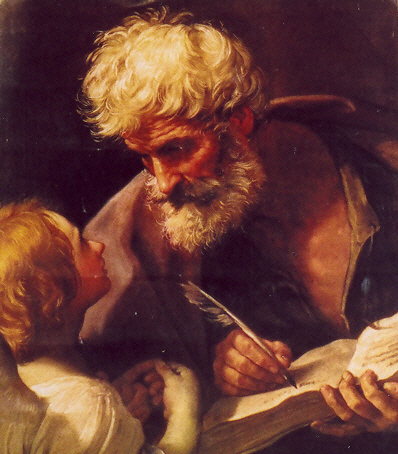 Peter, perhaps filled with self-importance as the newly established "rock" of faith, rebukes Him saying," God forbid, Lord! This shall never happen to you." Christ recognizes in Peter the handiwork of man's ancient enemy. For the sake of Peter's soul, Christ turns to him with the harshest rebuke in the Gospel: "Get behind me, Satan! You are a hindrance to me; for you are not on the side of God but of men." Any hint that the Lord needs Peter - or anyone - as an advisor and political handler is put to rest. This is not to suggest that we should avoid asking confidently for gifts from God in prayer. The Blessed Virgin Mary, as usual, provides us with practical guidance in her approach to the Lord. During the wedding feast at Cana, the disciples inform Mary when the wine runs out. In approaching Christ, Mary does not insist, nor does she presume to tell the Lord what to do. She merely presents the need: "They have no wine." The mother immediately communicates her docility to her Son to the servants: "Do whatever he tells you." The first miracle of Christ is the result, not of a maternal demand, but of a humble presentation of need and trust in Jesus. In approaching the Lord it is critically important to ask in humility. Don't tell. Christ does not need a spiritual director. We do.